Successfully Added Ulefone S7 Android Phone - Android 7.0, Quad-Core, 2GB RAM, 5-Inch, 8MP Camera, Dual-IMEI, 3G (Black) to your Shopping Cart. Stay connected with friends and family anywhere you’re at with the Ulefone S7 Android phone. This cheap smartphone features Dual-IMEI numbers. This means that you’ll be able to slide in two SIM cards and stay connected to both at the same time. From now on, you can always be reached on two different phone numbers while using merely one device. The Android phone furthermore supports 3G mobile networks, meaning that you can browse the web anywhere you are. With its 2500mAh battery, this Android phone keeps you connected throughout the day without any worries about running out of juice. 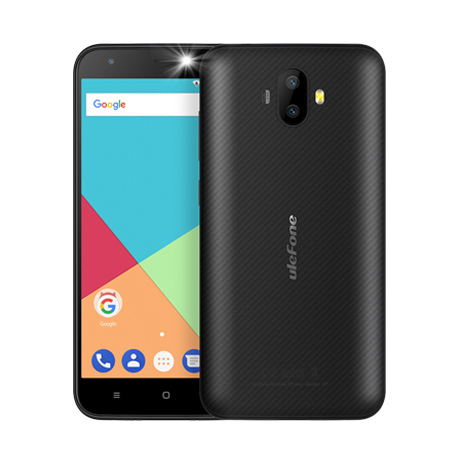 The Ulefone S7 Android phone runs on Android 7.0. It packs a sophisticated Quad-Core processor and features 2GB RAM. This hardware allows you to tackle basic Android games, Apps, and other sorts of media without dropping a frame. On the phone’s 5-Inch display, you can enjoy all your favorite films and series in crisp 720p HD resolution. The phone comes with 16GB ROM to store all your files. Those of you who need more storage are able to slide in a 128GB SD card. If you’re looking for a cheap Android phone that meets all your basic demands, the Ulefone S7 is perfect for you. The Ulefone S7 Android phone comes with a 12 months warranty, brought to you by the leader in electronic devices as well as wholesale smartphones..